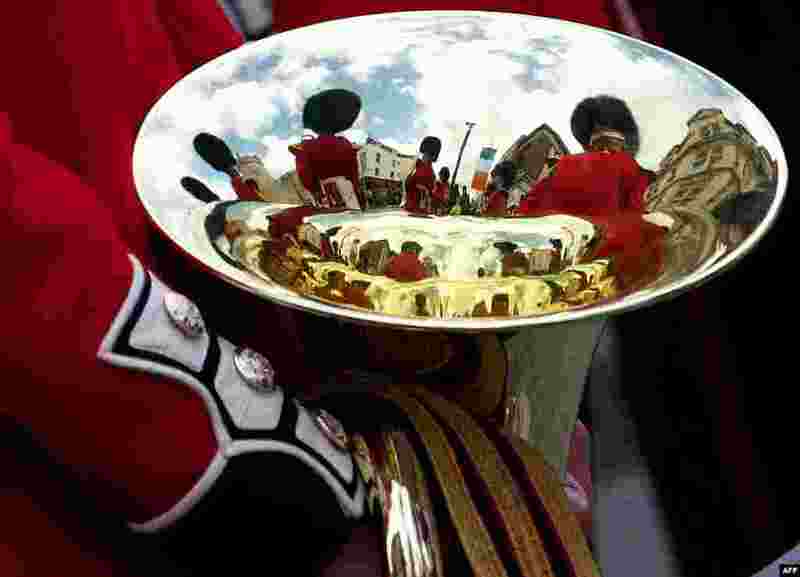 1 Members of the Band of the Irish Guards are reflected in an brass instrument during the Welcome Ceremony of the Irish President Michael D. Higgins in the town of Windsor, west of London. 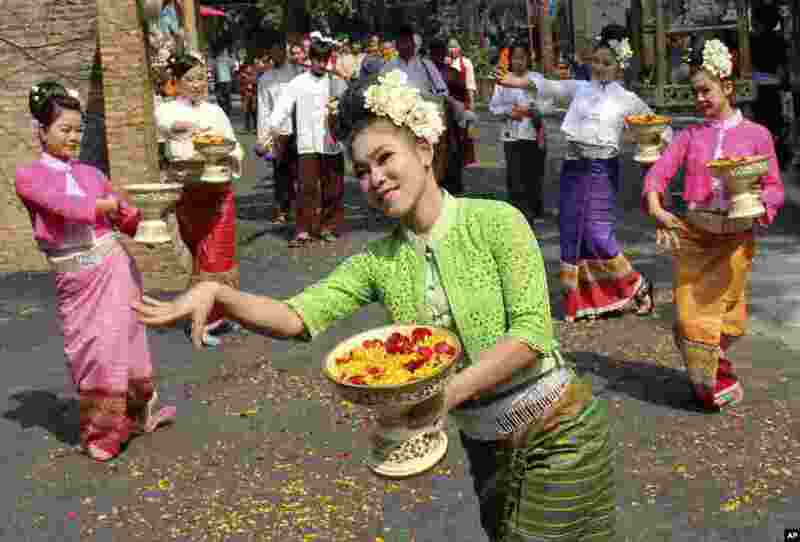 2 Dancers perform a traditional dance during the opening ceremony of ancient Thai New Year or Songkran festival celebrations in Chiang Mai province, northern Thailand. The festival starts on April 13, 2014. 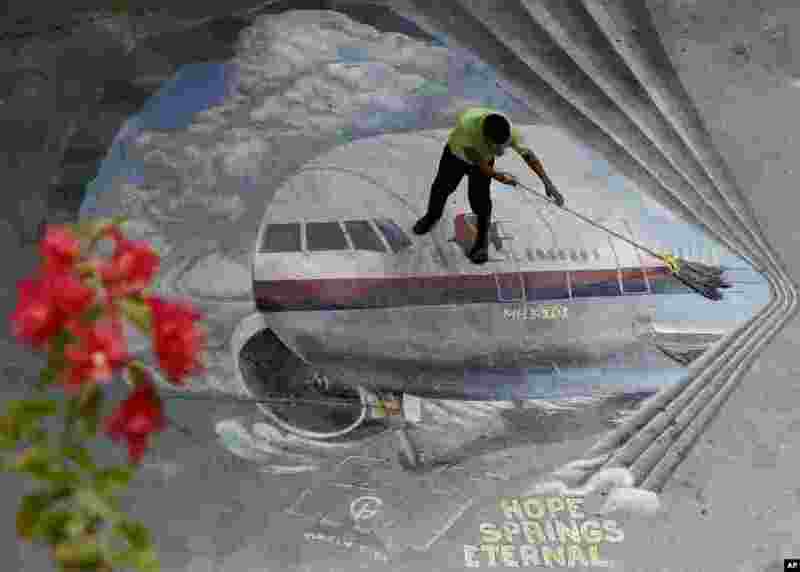 3 A school utility worker mops a mural depicting the missing Malaysia Airlines Flight 370 at the Benigno "Ninoy" Aquino High School campus at Makati city east of Manila, Philippines. 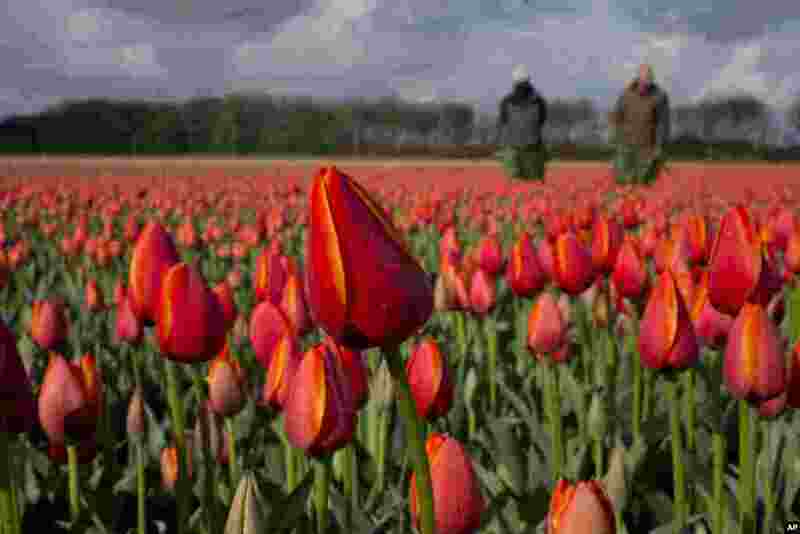 4 Tulip farmers look for weeds in a field of tulips near the city of Noordwijkerhout, western Netherlands.